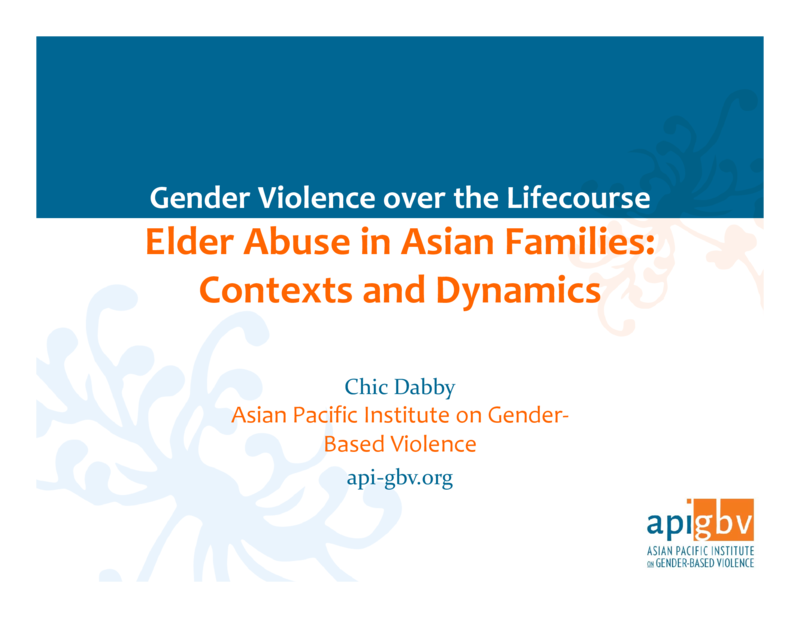 These training slides from a workshop by API-GBV analyzes elder abuse in the context of abuse over the lifecourse (see the Lifetime Spiral of Gender Violence). It enumerates several types of abuses API elders may face, including forced labor and emotional neglect, and offers recommendations for culturally-specific interventions. Crockett C, Brandl B, & Dabby C. 2015. Journal of Elder Abuse & Neglect. 27(4-5): 291-302. 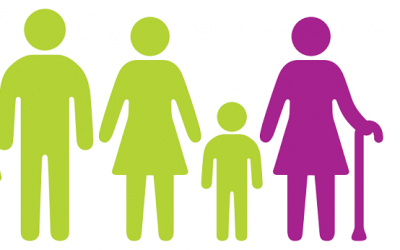 This article explores how the lack of gender analysis in the elder abuse field increases older survivors’ invisibility and calls for applying a lifespan approach to abuse. Published by National Council of Elder Abuse (NCEA), this research brief synthesizes the latest available information and research relating to the mistreatment of API elders.